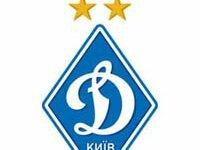 Football club Dynamo Kyiv has played a 1-1 draw in a second round of the Ukraine Premier League (UPL) in a row. After the loss of points a week ago in Odesa, the Kyiv-based team failed to win from the Oleksandria team in a visiting game within the UPL matchday 12 on Sunday. At the beginning of the second half, the score was opened by Dynamo's Paraguayan footballer Derlis Gonzalez. Later, at the 79th minute, Oleksandria striker Vitaliy Ponomar managed to level the results. After this draw, the gap between Dynamo and FC Shakhtar may widen to eight points.